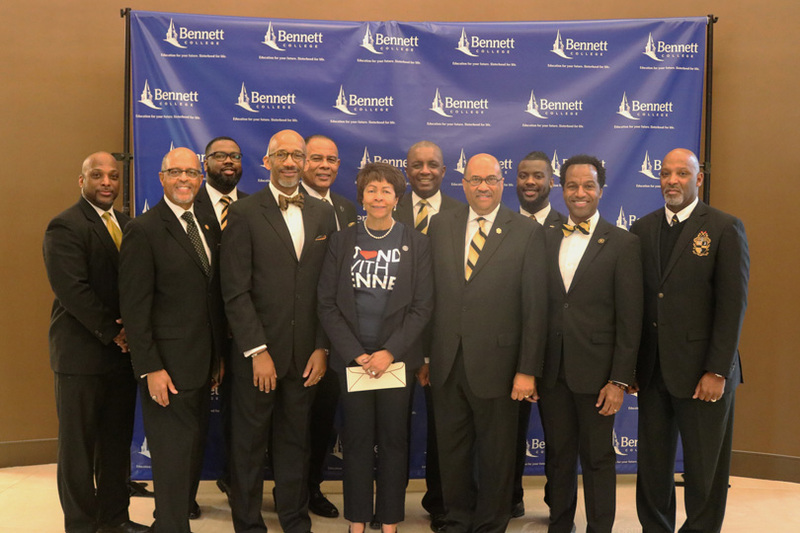 GREENSBORO, N.C. – Alpha Phi Alpha Fraternity, Inc., the nation’s oldest African-American fraternity, donated $31,000 to Bennett College on Jan. 19 to aid the Institution in its quest to raise a minimum of $5 million by Feb. 1. 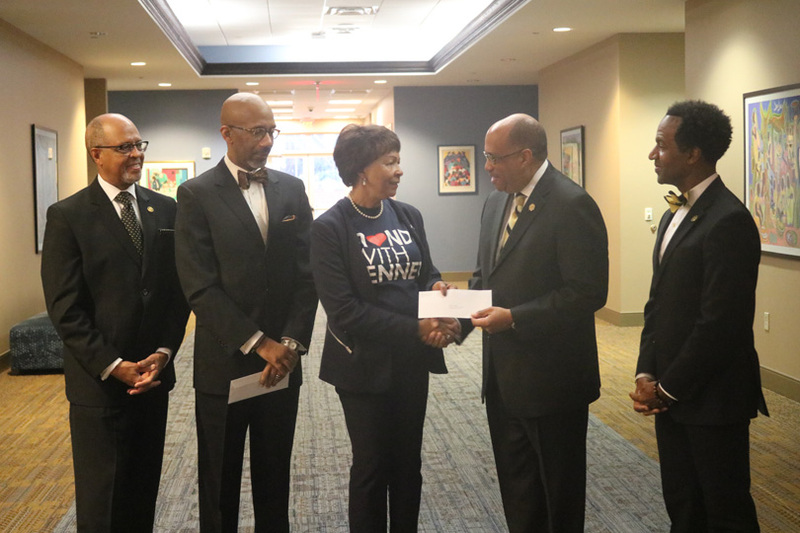 Chuck Wallington, President of the Kappa Lambda Chapter of Alpha Phi Alpha hands Dr. Dawkins a check in support of Bennett College. 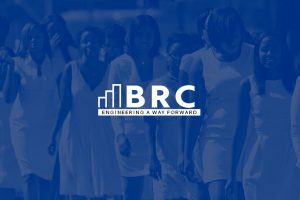 Everett B. 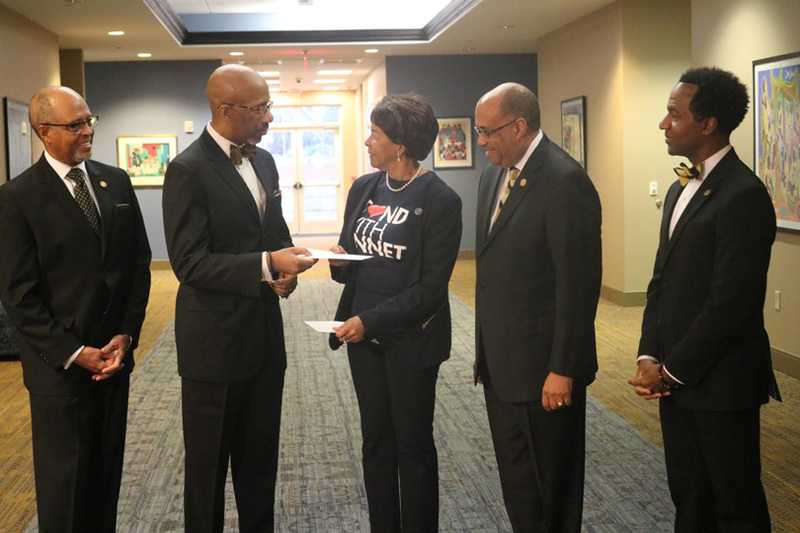 Ward, General President of Alpha Phi Alpha Fraternity, Inc., hands Dr. Dawkins a check in support of Bennett College. 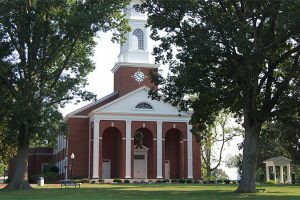 Founded in1873 as a coeducational institution, Bennett became women’s only in 1926. 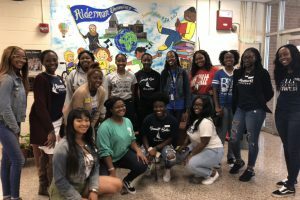 Spelman College in Atlanta is the country’s only other all-women’s HBCU. 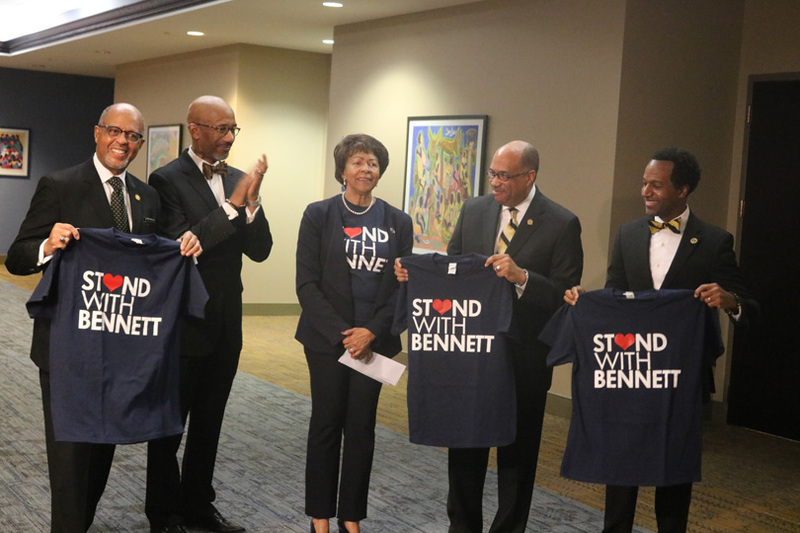 Alpha Phi Alpha Fraternity, Inc. members receive and hold up Stand With Bennett t-shirts.